AVPN invites you to the first session in the series which will bring together a broad ecosystem ranging from inclusive business owners to investors, philanthropists and government representatives. 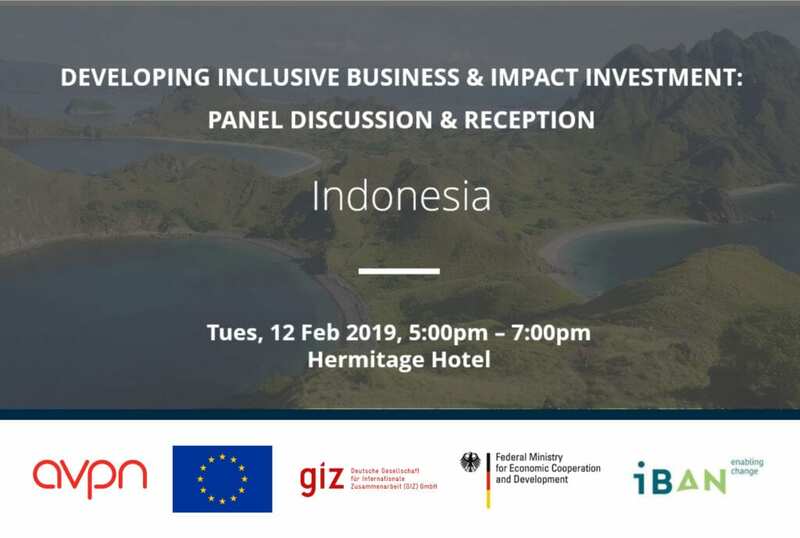 The evening will begin with a panel discussion to bring clarity to the value of inclusive business and opportunities for growth in Indonesia. The gathering will conclude with a networking reception, encouraging participants to connect and learn from one another as well as interact with both international and local experts. We hope you can join us. Please register your interest to receive a formal invitation. You can also download the event agenda here. Fadjar studied at the Institut Teknologi Sepuluh November, Indonesia, and has a vast experience within the financial and capital sectors. 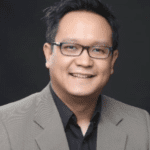 Prior to joining BEKFRAF, Fadjar was CEO and founder of ADN Financial engaged in financial planning. In addition, Fadjar also served as Director of PT. Sarana Jatim Ventura, a venture capital finance institution which funds small and medium enterprises. David is responsible for the development of an overall strategy, including a capture/closure strategy on key defined transactions, and coordinate with the P&L Sales Leaders and Sales Teams in the regions. Prior to this role, David was GE Indonesia’s Director for Government Affairs and Policy. 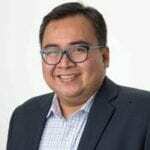 He was also GE Transportation’s Regional Sales Director and was concurrently assigned to the role of President Director of PT GE Operations Indonesia, GE’s wholly owned local entity in Indonesia. David also held the position of GE Energy Services’ Policy and Government Relations Director for ASEAN. Asmat Amin had been a Managing Director of PT Sri Pertiwi Sejati since 2003. The success of the industrial engineering alumni of the University of Toledo, in the property industry was achieved because his family business was determined to help the government in developing a million houses. Every year, the business is determined to build 10,000 housing units for low-income communities, and has reached a total 50,000 houses today. As a leader in property business, Asmat Amin has been named as an entrepreneur figure in public housing at the BTN Golden Property Award 2018 and he won the title of The Most Favorite Leadership 2017 at the Indonesia Property & Bank Award. PT SPS achieved The Indonesian World Record Museum ( MURI ) Award Charter as the Most Credit Agreement from one developer in 2015. PT SPS Group has also won national-level subsidized KPR Developer Award from 2005 – 2018. Regi is a serial entrepreneur and business developer, aiming to deliver positive impact to society through exponential technology and every work that he does. Previously, he was the Sales and Marketing Director at DDI, Business Development Director at GE, and the Asia Pacific Business Development Director DuPont. In 2010, he acquired and grow a digital company called Isobar and Posterscope before selling the company to Dentsu Japan. In early 2018, Regi also created a subsidiary of Dattabot, which focuses on agriculture sectors, called HARA. He studied in UNPAD, Singularity NASA, and MIT Sloan. Coming to the organisation with a decade of corporate marketing and brand management experience, Allie has led AVPN’s brand strategy since 2016, helping the organisation to serve the full spectrum of social investors. In 2018, she stepped into the role of CSO, managing the membership services teams throughout the region, as well as marketing and events. She splits her time between Ho Chi Minh City, Vietnam and Singapore. Allie previously worked in consumer brand management for Mondelez International (Nabisco Portfolio) and has been a brand strategy consultant for numerous social enterprises. She has an MBA from New York University’s Stern School of Business and a BA in Communications from Villanova University. Outi is the Southeast Asia Director leading AVPN activities in developing the social investment ecosystem in this strategic region where over 35% of AVPN members are based and many more active in. Specialized in working with multi-stakeholder approach, across different sectors, Outi advocates for sustainable social impact through collaborative action. With her background on corporate sustainability, non-profit development work and Public-Private Partnerships, she focuses on promoting partnerships and innovative collaboration as the key enablers of a sustainable future. Besides her native Finland, Outi has lived and worked in Germany, USA, Thailand, Philippines and Vietnam before settling down in Singapore in 2015.